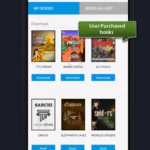 Ebook Conversion Services has evolved a great deal. More and more people are much more inclined to reading eBooks these days. As people are getting hooked on their smartphones, it has been seen that there has been a growing demand for eBooks. So, if you are a company that specializes in eBook Conversion, you have every reason to be happy. There are so many things which will count as positives for you. Here, we are going to outline some of them. Given the rate with which we are depleting the natural resources, the production of the paper industry to has already been impacted. So, it is a direct correlation that there are going to be a lot more eBooks which will be published in the times to come. With digital India gaining prominence, the demand for eBooks will surely shoot the roof. So, it is one such industry which is definitely likely to see the right kind of boom. One can also see that there is a lot more competition which is going to pop. 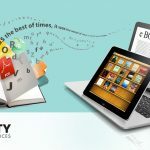 As we can perceive that the demand for eBooks is likely to shoot high, so it is also likely that there will be a lot more eBook Conversion Companies too that will come up. In the coming year, you may find new competitors because everyone wants to offer such services which are likely to exude too much demand. Of course, the pricing is going to see some changes too. It is important to ensure that you understand the market thoroughly and analyze what the competitive rates are. While the demand is going to be high, you also need to make sure that you are not overpricing your services either. If you end up not being just with the cost structure, you might end up losing too many clients. You also need to keep an eye on the kind of technology that comes up. While it is hard to predict as to what technology will come up next, you as a company should make it a point to understand the new concepts. The odds should always be on finding the best way to make smart use of technology so that you can convert the book into whichever formats you desire. These are some of the different things which you need to keep an eye on. It is important to understand the different details and offer the best services while finding the right clients. Offering them the best books which have been perfectly converted sans any error is the right way to go. We do not really know precisely how much the scene is going to change in the year but it is important to be sure that you are going with the flow and finding the best ways to push your services to the top. 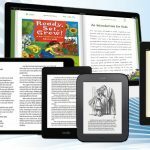 Why a Professional eBook Conversion Company is a perfect choice? 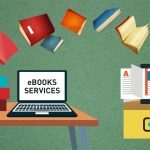 The Biggest Problem With Ebook Conversion Services And How You Can Fix It?